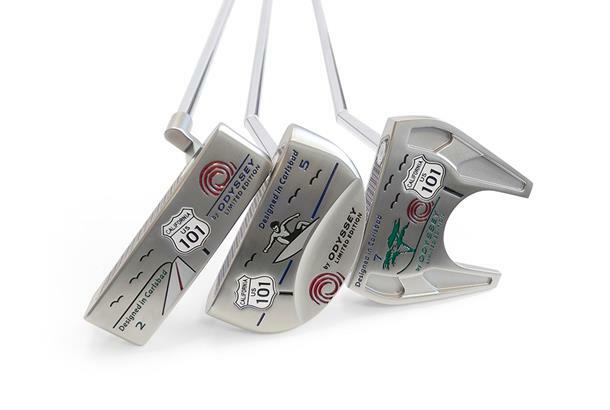 To some golfers putters are much more than just flatsticks to hole out with. Theres a growing group of putter collectors who want to own the same putter as their favourite pro or be one of a select few owners of a particular limited edition model. Some of these guys will bend over backwards to get thier hands on super rare or collectible models and its that philosophy thats given birth to the new Odyssey Highway 101’s. 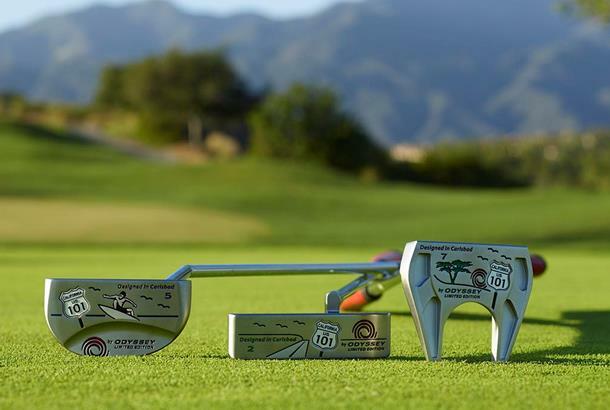 Odyssey’s leading putter designers have recognised that Carlsbad, California is a mecca for putter designers, literally within a couple of miles radius of the city they can lay claim to owning 75% of the putter market in the USA. So Odyssey’s new wave of designers have used the surfers, the beach, cypress trees and coastline of Carlsbad as inspiration for this new collection. 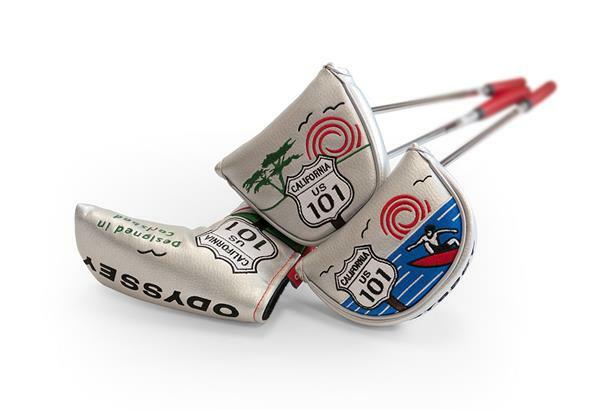 The story doesn’t quite end with just creating some fancy new graphics and headcover for three of Odyssey’s most popular models either. The precision milled 1020 carbon steel heads have a new CNC milled sound chamber behind the face which Odyssey say gives more sound and feedback at impact. It basically means the chamber lets the face resonate giving a higher pitched sound which some golfers love. There’s also a 17-4 stainless steel face to give a firmer feel which you don’t hear too often and a custom cabretta leather grip.